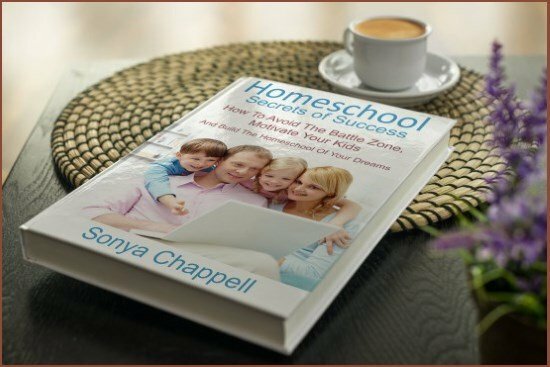 Homeschooling high school can feel daunting. 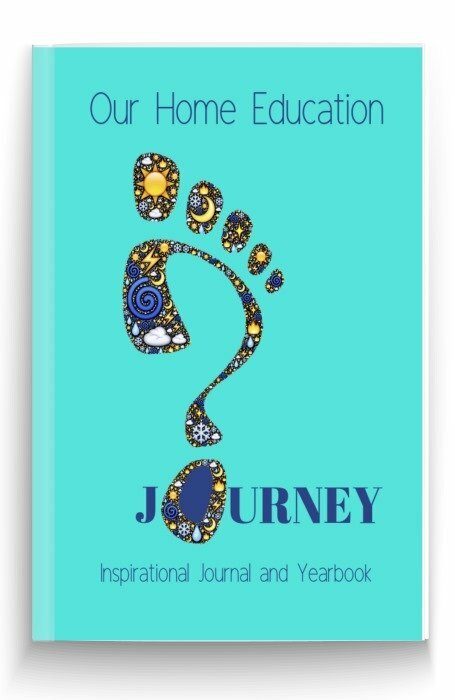 Whether your child gets to Oxford University like my homeschool son or finds their own path to follow their dreams, these real-life stories from across the world will inspire and encourage. 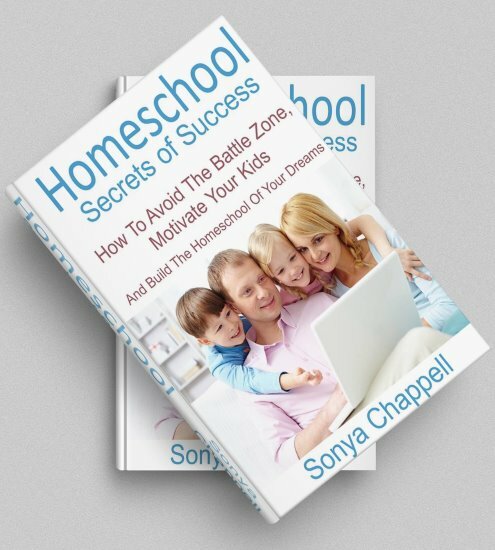 Above all, you'll get confirmation that teaching your child at home really works. Let's start with my story to give you some reassurance. 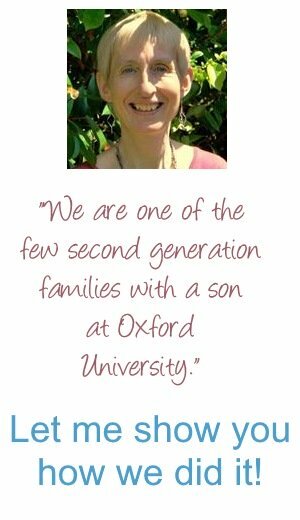 My homeschool son is now at the University of Oxford, ranked the world's top University in a recent rankings survey. If you knew how he got there you would be amazed! 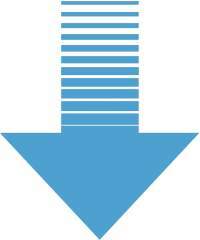 As you will see for yourself from this website, we broke most of the accepted educational wisdom to get there. We had tons of holidays, plenty of time when we did 'nothing' at all, and, when it came to homeschooling high school he couldn't even write properly! 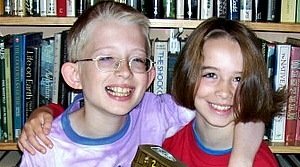 We only began formal work age 13, we took nowhere near the usual number of subjects (about two a year), and we did absolutely no homework - ever! 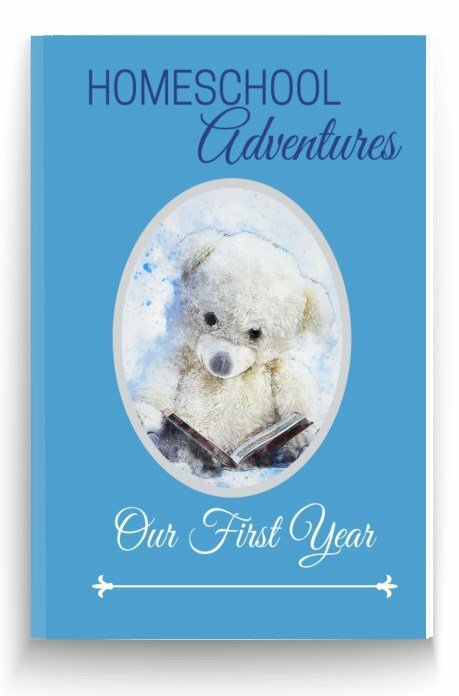 The secret for us was following William's interests which meant that he largely taught himself what he needed to know and did the exam work for himself. Chemistry is not my strong point! Neither, to be honest, is Physics, Astronomy or Math..which just goes to prove that if you're worrying how you are going to manage to teach all those subjects .... well, maybe you don't need to bother - because your child will do it for you! At age 16 he went to college for two years and...the rest is history! William always dreamed of going to Oxford; but we all know that the academic path does not bring out the best in many children. My daughter Catherine is following an unschooling route as a talented artist. She set up her own Wild Art Treasures Etsy shop when she was 14 and sells her work worldwide. Her art was also exhibited in the Natural History Museum, London. I have no doubt that Catherine would not have been suited to the confines of a conventional art 'curriculum' and I am certain homeschooling high school enabled her to discover her passion. The secret to success was undoubtedly to find the key to unlocking our children's motivation. And I am certain that is the key to homeschooling high school! 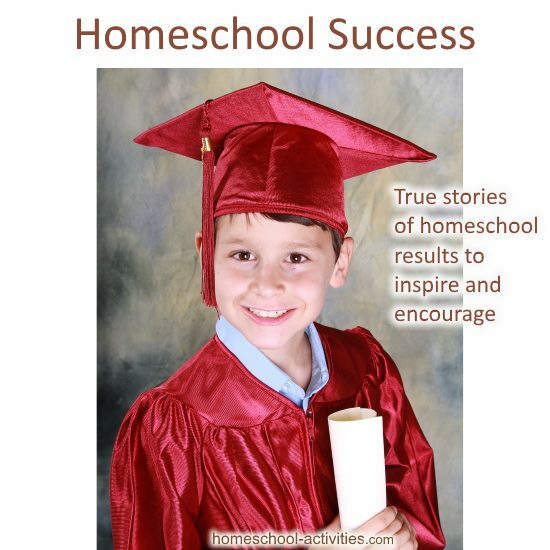 You can find out more about Homeschool Secrets of Success here. 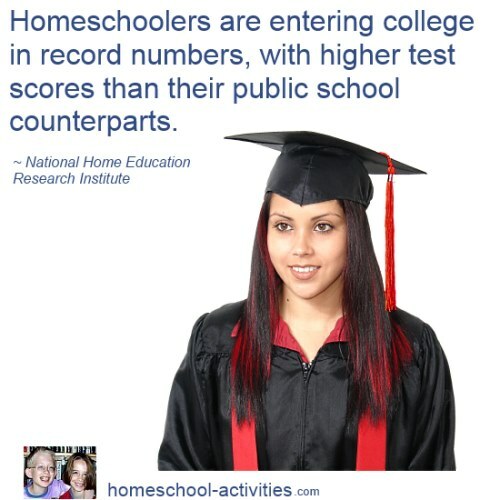 Homeschooling high school can feel a big step. 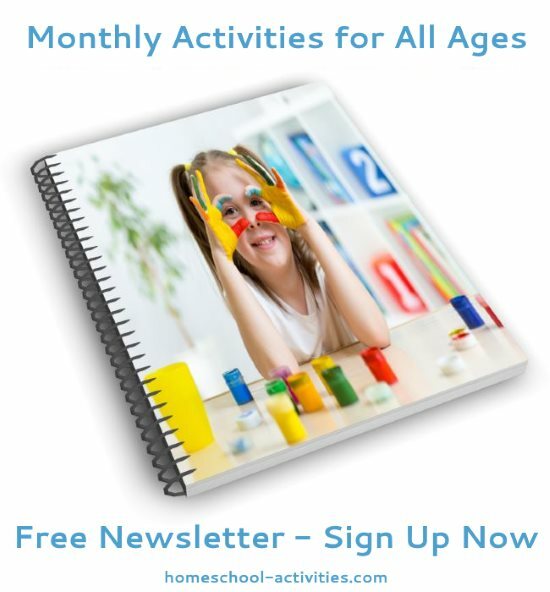 If you would like to see more about how to homeschool high school, check out this page. All of these have been done working from books etc., i.e. 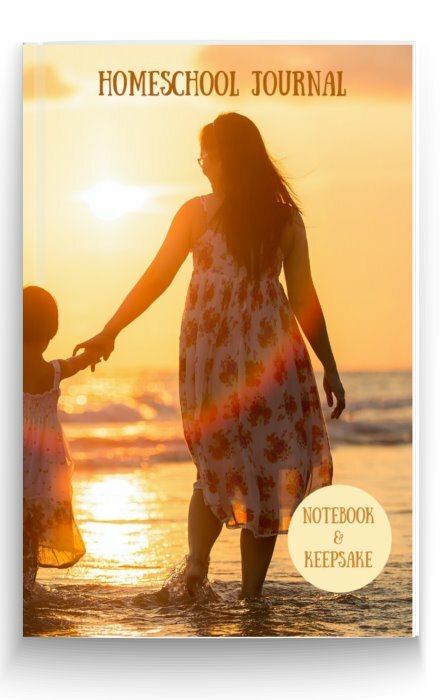 no tutor, correspondence course, tutor or group for any subject, although she did use the materials her sister originally used for an English correspondence course. In addition, she has also passed ECDL (7 units), Bronze, Silver & Gold Arts Awards, RLSS Survive & Save Silver Medallion & Stillwater Awards (Lifesaving), Bronze & Silver D of E Awards (has just started Gold), and a Young Leader Certificate (Scouts). 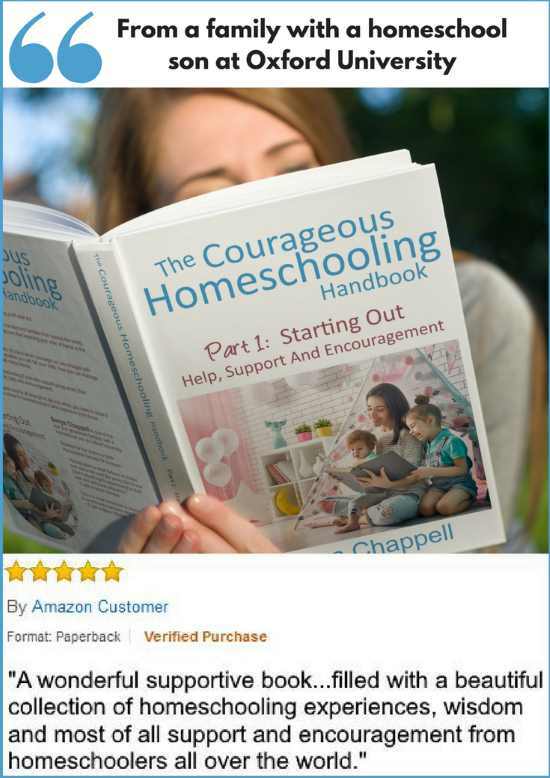 In short, by homeschooling high school she has achieved much of what she might have had she been at school, combined with many things which would not have been available. She is now off to a Further Education College in September, to do a Level 3 Film Making course." "We have 4 kids, youngest is 17 and a senior...They never went to a brick and mortar classroom 'til college. My oldest daughter is an ER nurse, hired at a MAJOR hospital prior to her graduation! My oldest son is in grad school, my youngest daughter is a sophomore at college, swims for the swim team, and works and is on the deans list. My youngest was accepted immediately into the engineering program at the college he will be attending, had the highest SAT scores out of all 4 of my kids and is also a nationally ranked swimmer who will swim collegiate. So, does homeschooling work? I think, yes!" "What I want to know is if they decide to go to college later, how hard is it to get into a university without a degree from an accredited school?" I am most proud of her achievements OUT of school... school were willing her to fail! She taught herself entirely - she’s Aspie and refused my help!! She received an unconditional offer based purely on her audition, to study Performing Arts at the college of her choice, the only one to get this in the bunch at the college early enrollment. I’m not one to do a ‘proud mum’ post, and dislike talking grades on social media as I think that everyone that got through their exams in one way or the other is amazing and the grades we get do not define us! So, thanks for the encouragement to post here. Well done everyone for getting through the exams, whatever the end result!" Homeschooling high school can certainly lead to some awesome results. You've probably heard about what happened to the three Colfax brothers when they were homeschooled. "My daughter Bethan got 5 A*s in Chemistry, Physics, Maths, Eng Lit and German (had done others previously). Her older sister has been at a school sixth form for the last 2 years and got 3 A*s for her A-levels too! 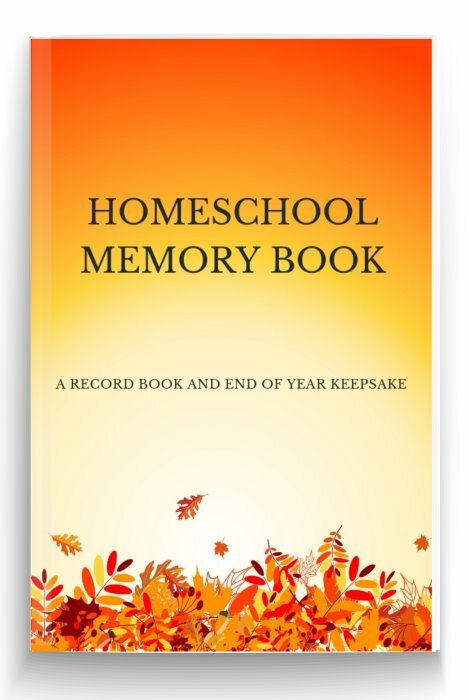 We are so thankful to God for all his goodness to us through our home-schooling journey to date, and relieved that not only have we been able to help them to be rounded individuals with genuine interests in other people and other activities, but that the academic side has not suffered either - a loss we were willing to accept as a cost of homeschooling." "My daughter homeschooled high school in 3 years, went to a CC for 3 years, was accepted at CAL Berkeley, and is now a PhD candidate there." 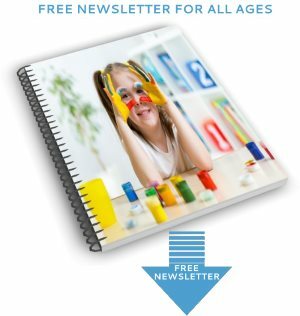 Read an interview by 15 year-old homeschool student Grant for reassurance that he can see the advantages of homeschooling high school. "Hi, thought I'd just write this to encourage those who have been disappointed by their results. My daughter was really upset on results day to find she had not achieved the required grades to get into college. She had worked really hard but found studying for exams by herself really difficult. All my own doubts flooded in and and I felt responsible for her poor grades worrying that my choice to homeschool had led to this. Today however, she went into the college to hand in her certificates. We were expecting them to decline her a place or offer her a different lower level course (which she didn't want to do). To her surprise they enrolled her straight onto the 'A' level courses. They weren't interested in her exam results at all (didn't even ask what she'd got) and just insisted that she complete her Math GCSE alongside her 'A' Levels!! So in September she's off to study 'A' Levels in English, Psychology, Sociology and Law. It's so easy to wobble when you're doing something different but last week when we thought she might not get into college to do A Levels we decided to research alternative routes into university. We discovered that she could wait one year ( until age 19) and be able to do an access course which had entry requirements of C in English and D in Maths. It really made me think why had we been so worried when there is always another way. I often find myself caught up in the stampede and become frightened that my little wildebeests will never make it across the rushing river amidst all the frenzy and turmoil. Last week, convinced we didn't have what it took to get across we stood and watched as everyone else stampeded successfully onward. When the dust had settled however and we could see clearly again, we noticed a bridge further upstream and crossed peacefully in our own time and there wasn't a crocodile in sight." What a fantastic way to end. 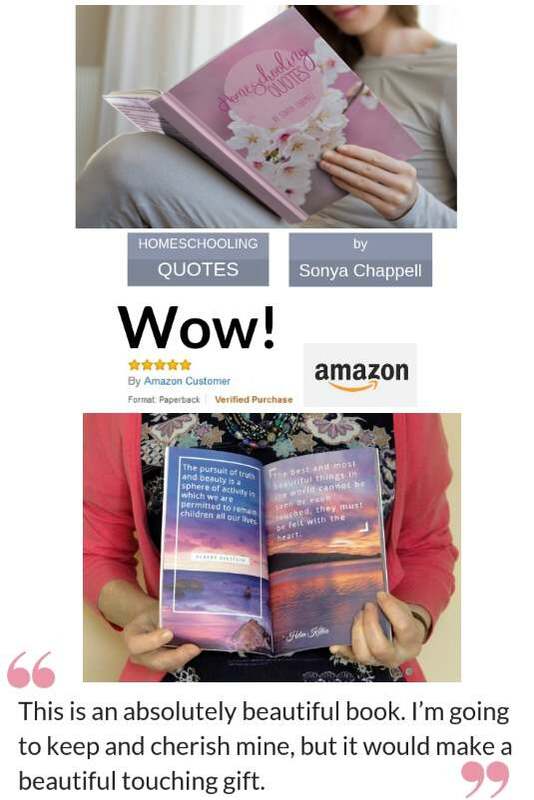 Thanks Sarah for proving that homeschooling high school isn't really so daunting after all. 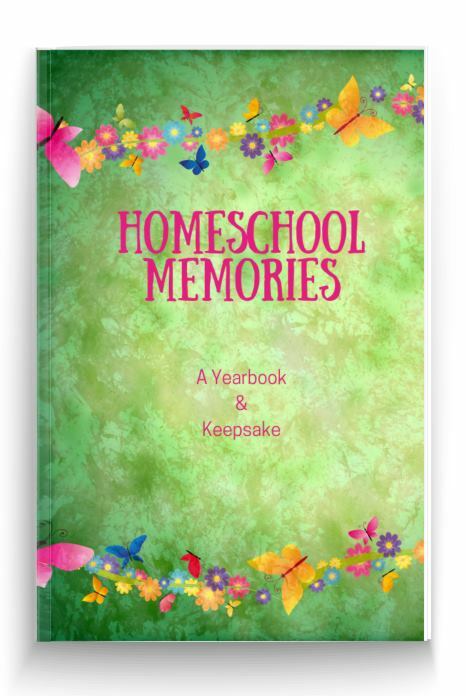 PS If you would like to share your story of homeschooling high school, please contact me. 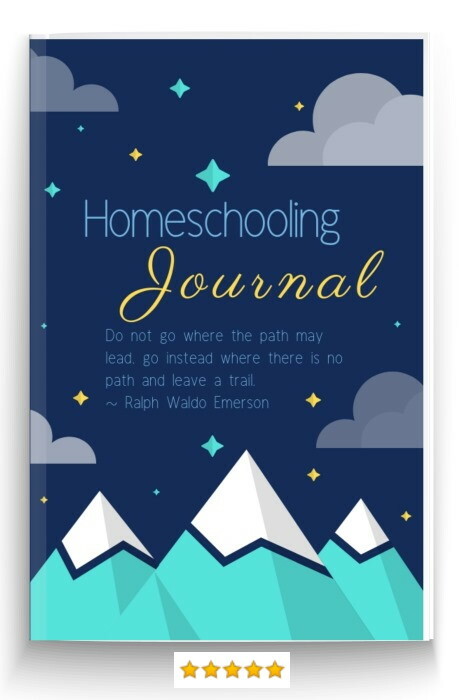 I would like to write a book about this aspect of homeschooling and would love you to contribute. 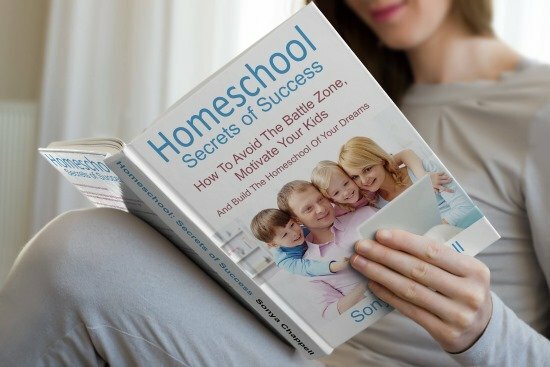 PPS Homeschool Secrets of Success is my way of sharing the secrets behind motivating your kids through high school, with contributions from more than 8,500 Facebook fans.